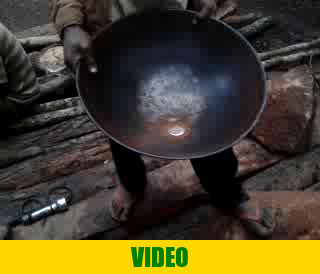 Miner is demonstrating mercury in the pan. Mercury is dangerous and poisonous substance that shall be avoided by all means. Countries worldwide have agreed to eradicate mercury by the Minamat Convention. We do not endorse mercury in gold recovery. We use only mercury free gold recovery methods.